The 120 handpicked photos captured Boston pride and extreme talent, but the Instagrammers and attendees exhibited the true meaning of the contest. The Sheraton Boston Hotel hosted the IGersBoston Gallery Friday evening, an exhibition and silent auction to showcase distinct parts of the city, including the green lamps in the Boston Public Library, sailboats on the Charles River, ducks in Boston Commons and cobblestone streets in the South End. IGersBoston, the first Boston-based Instagram community, features talented individuals and captures views of the city. 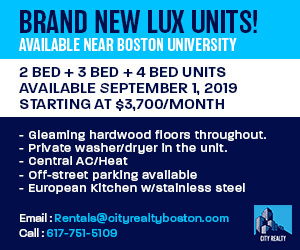 Since its founding in 2012, the account has gained over 70,000 followers, proving itself to be “among the most influential social media accounts in Boston” and “one of the largest city based Instagram communities in the entire world,” according to the IGersBoston website. 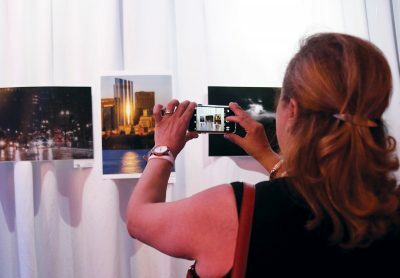 At the end of the night, attendees bid on the artwork, but instead of profiting from the event, IGersBoston donated 100 percent of the proceeds to the Cambridge-based Transition House, a nonprofit that fights domestic violence on behalf of women and children. They collected over $3,200 in just a two-hour span, Banker said. But while the donation was an important part of the gallery for both organizers and attendees, Mejia said he wanted to stress the fact that it wasn’t just about that. Risa Mednick, executive director of the Transition House, agreed that one of the most valuable things to their organization was spreading the word. Because fewer than 200 shelter beds for victims of domestic violence exist in Massachusetts, Mednick said, it’s important for the community to understand warning signs and intervene early in the process. But while the Transition House works intensively to support individuals who need their help, the job comes with countless complications — technology, for example. On the one hand, the rise of technology has caused even more difficulties combatting abuse, Mednick said. Cell phones have been increasingly used for cyberstalking and tracking, which makes the recovery process much more difficult. But, she said, after seeing the success of the IGersBoston Gallery, it was clear that it could be a blessing as well. And this was the whole idea of the contest. After the gallery, posts and retweets on social media proved how fired up attendees were, excited to support the cause, Mednick said. The Transition House has community partners fighting the issue with them. 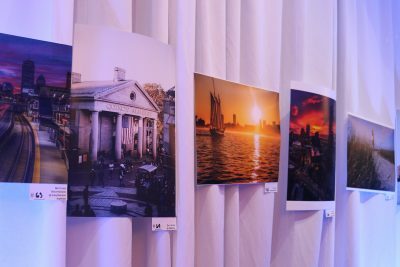 Because IGersBoston’s mission emphasizes an effort to connect with the Boston community, organizers of the gallery made sure to share their goal with the photographers and attendees. Kevin Logan, 52, of East Taunton, said he has donated to various charity auctions in the past — including The Patriot Fund and The Jimmy Fund — but this was his first time using photography as a way to contribute. “Any chance you get to take a hobby and use it to help raise money for a charity is an exciting, positive thing,” Logan said. Many others at the gallery echoed this sentiment, prompting Mejia and other coordinators to consider turning it into an annual affair. Oscar Alvarez, a member of IGersBoston and an organizer of the gallery, also said he was optimistic about future community events.